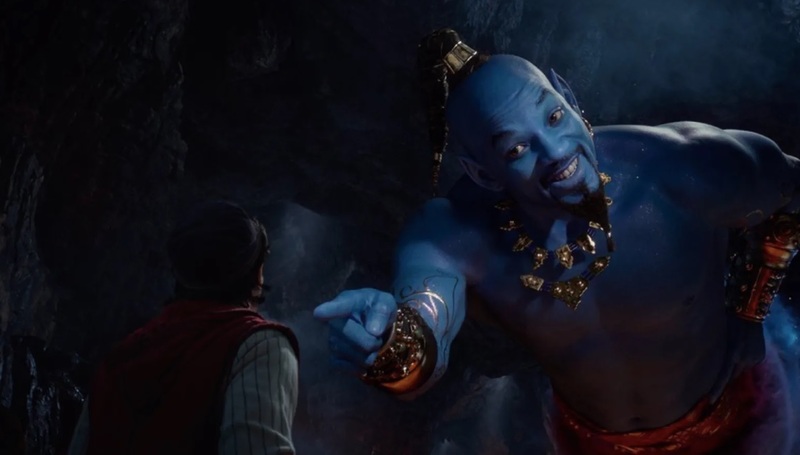 First Look at Will Smith in Blue in ALADDIN - AHHH!!! 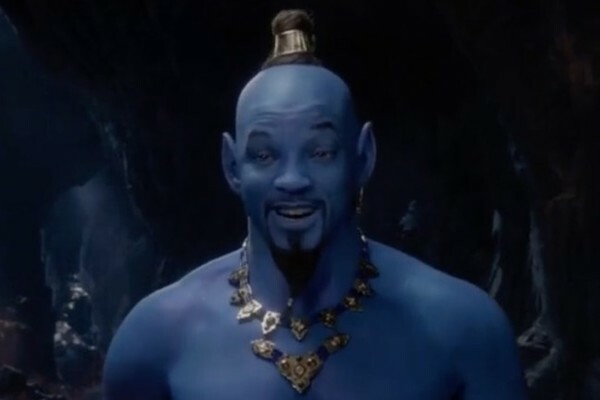 Heya guys, remember how terrible it was to see Will Smith as Genie in the upcoming Aladdin movie? Well, it was a shock at first, but then we learned that Smith was to be CG throughout most of the movie. We just saw his "human form". Though it was confirmed director and writer Ron Clements of the original animated movie that the peddler at the beginning was Genie in disguise, I do not think that was the human form we saw. But it was perhaps the disguise he had during Aladdin's time as Prince Ali. Definitely not the brief moment he was a harem girl. Haha. Today they released a special look and we finally get to see the man in blue! Apparently that candy Violet stole from Willy Wonka has a steroid version Will Smith helped hiimself to some. Disney is banking on nostalgia, and they have combined two parts of the 90s that just kind of go together like orange juice and vinegar. I like to be open minded but this made me straight up cringe. What's worse, even with all of that CG on him, you can literally see the edge of his baldcap. I caught Jhonen Vasquez’s, creator of INVADER ZIM, response to a blue Smith.